Dr. Satnam is an experienced and motivated Group Managing Director with expertise in business transformation, sales and revenue enhancement, governance, marketing and social selling. Over the years, He have finessed his ability to identify and resolve complex commercial issues through meticulous attention to detail and strong sense of innovation. 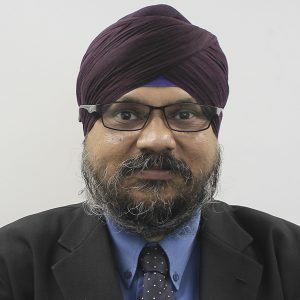 Utilizing structured methodologies such as LEAN and Six Sigma techniques, Dr. Satnam have assisted multi-million clients in achieving business process improvements, management strategies and process redesign, leading to their overall enhancement and growth. Dr. Satnam has lead innovation to increase efficiencies through cost reductions, productivity, revenue generation and improvements, achieved through focused strategy, policy development and best practices’ implementation. He has identified and resolved substantial issues by demonstrating a strong sense of innovation, confident leadership and meticulous attention to detail. Dr. Satnam executed many business transformation projects for multi-million dollar clients whilst liaising directly with CEOs and Board Directors as an external consultant. He had collaborated with multiple stakeholders to develop and implement business transformations. He communicates effectively by demonstrating superior emotional intelligence, interpersonal skills and cross-cultural communications.